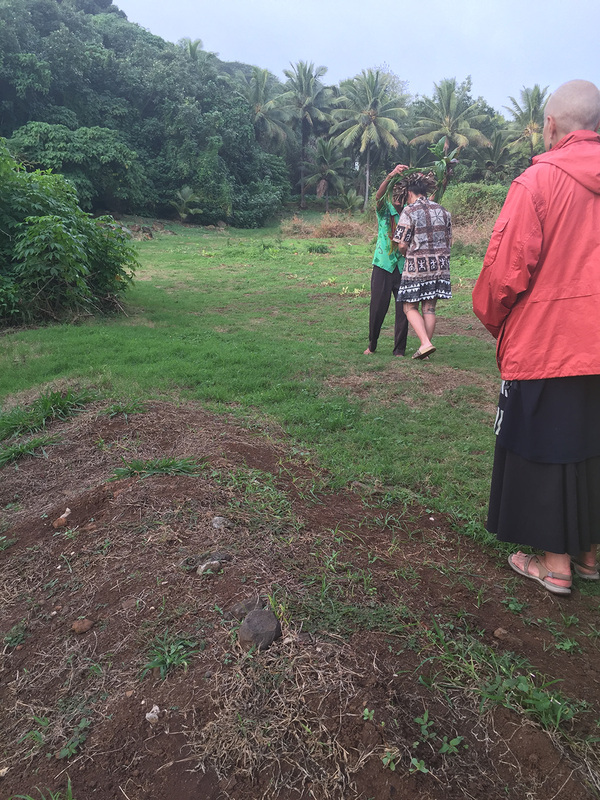 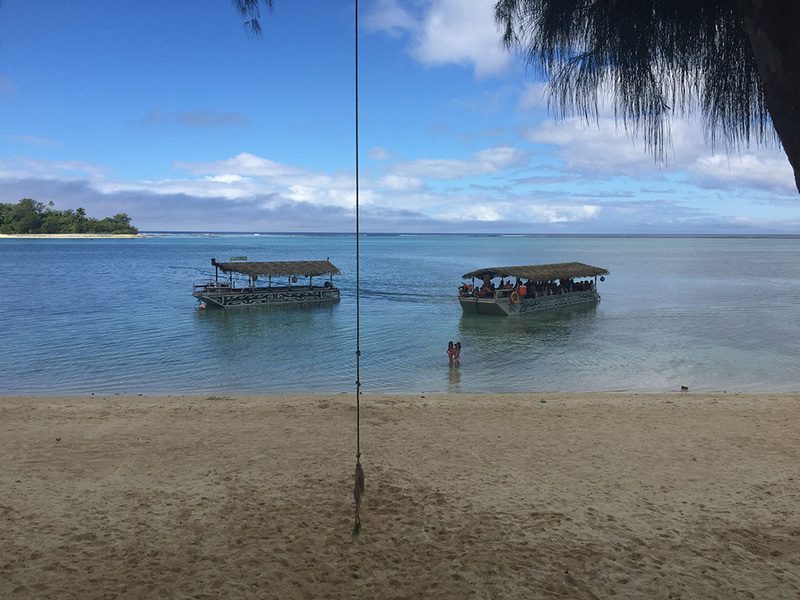 For our keynote performances at the Oceanic Performance Biennial 2015 Local Time have worked with members of the Rarotongan community to design two conversation activities that involves conference participants in resource management issues of local concern. 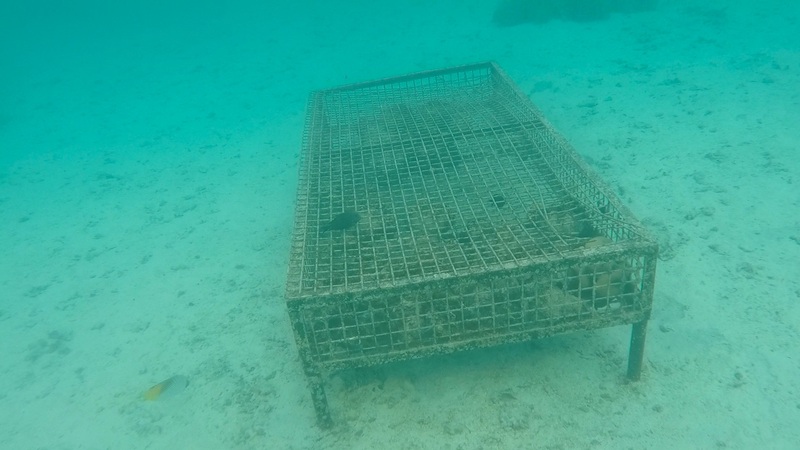 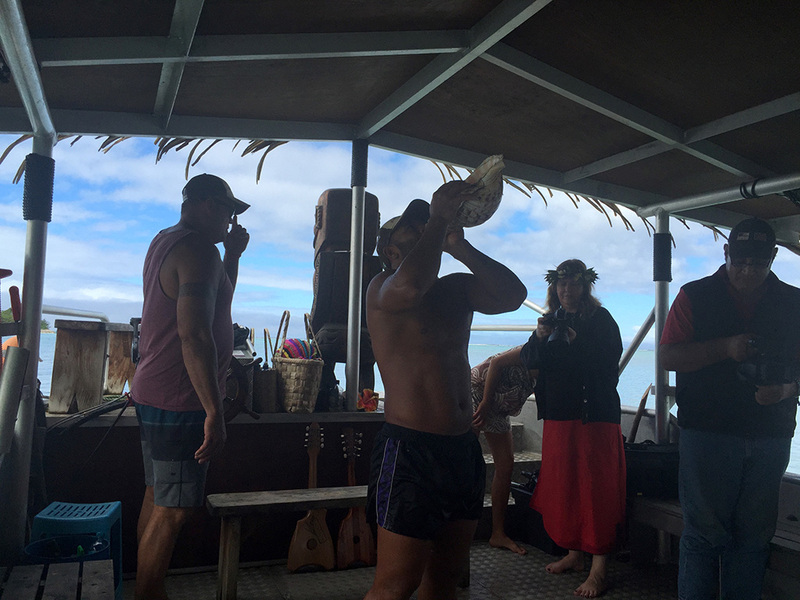 This performance chartered a tourist vessel to sea life habitats in the Muri lagoon. 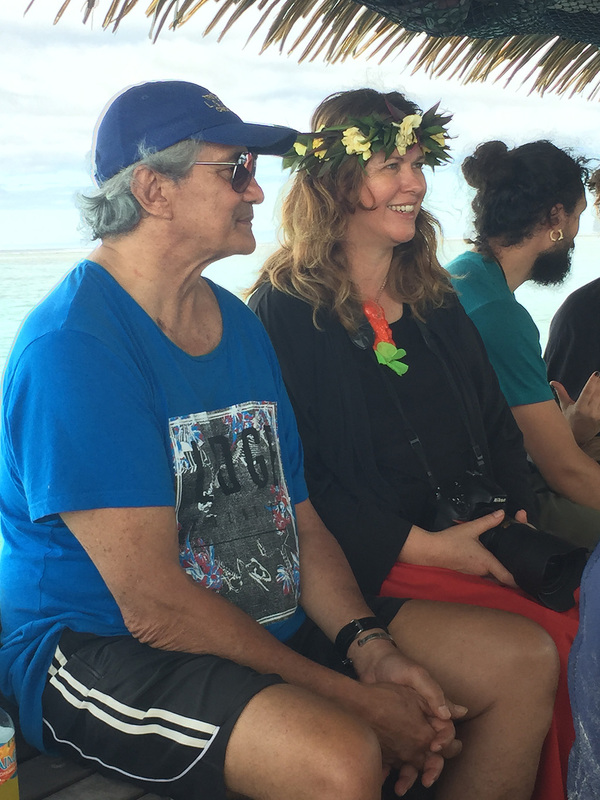 The journey was framed by a conversation among members of the local Muri community and the Muri Environment Care Group who discussed the customary maintenance of this environment and the forces shaping its future development. 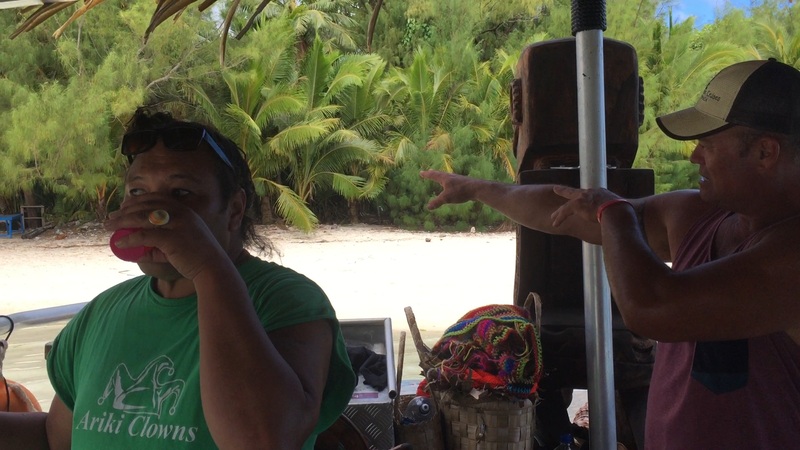 Local Time: Puna o te Vai Marau 11th July 2015 1630 (-1000). 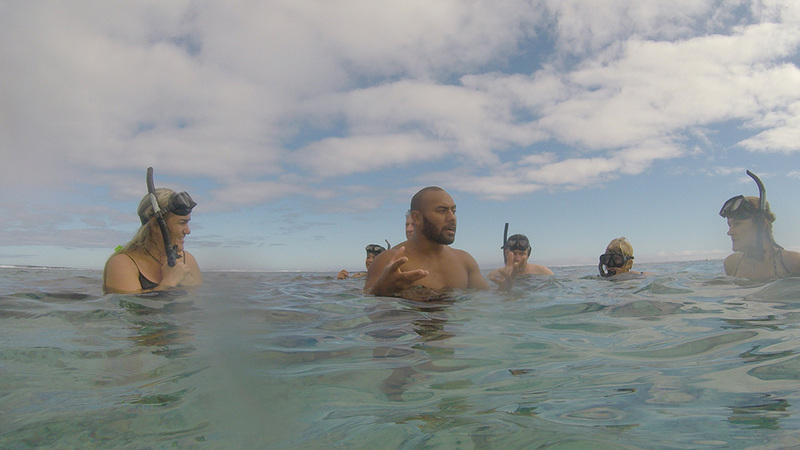 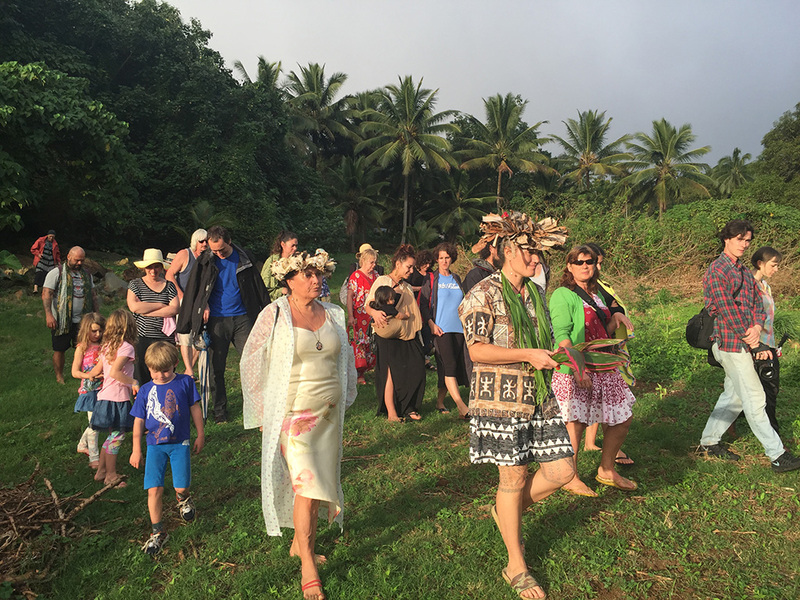 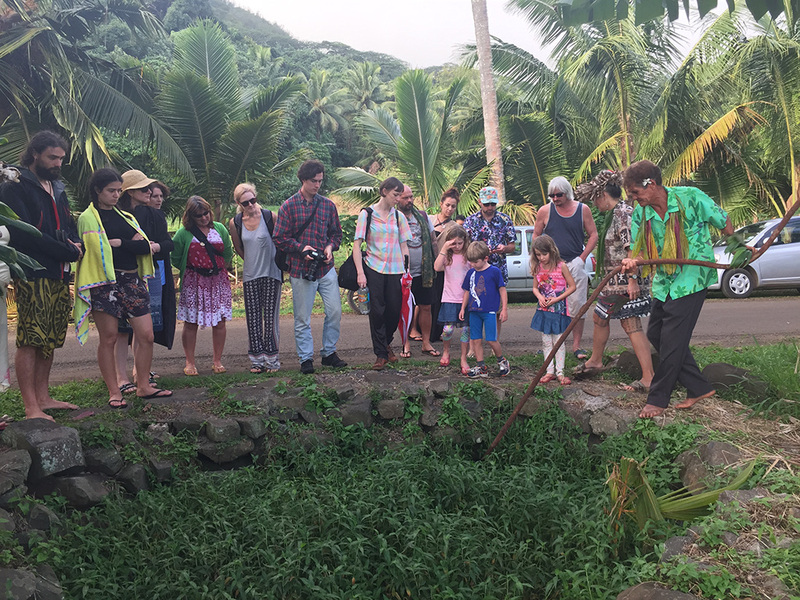 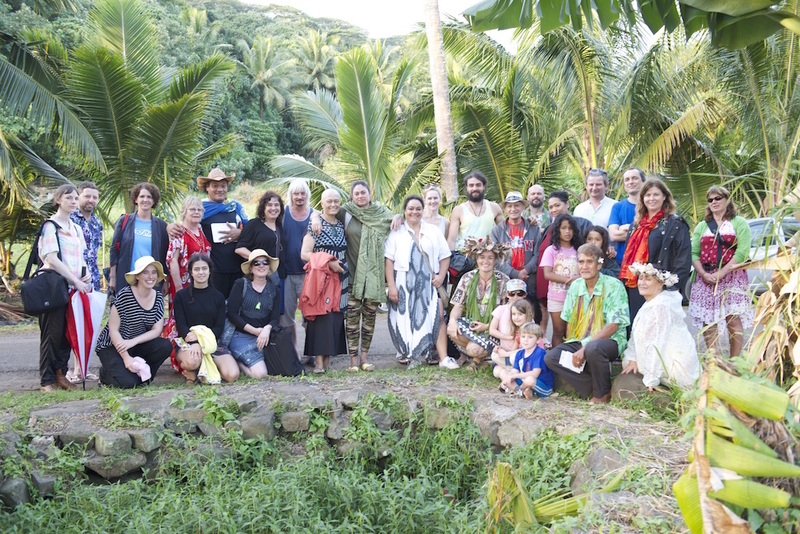 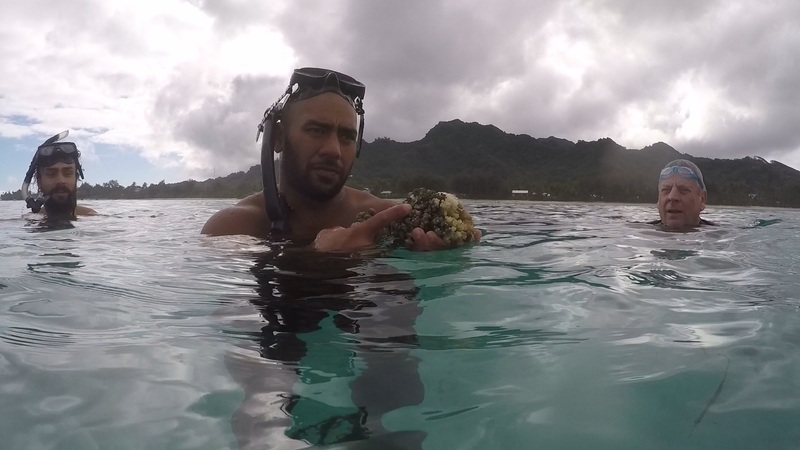 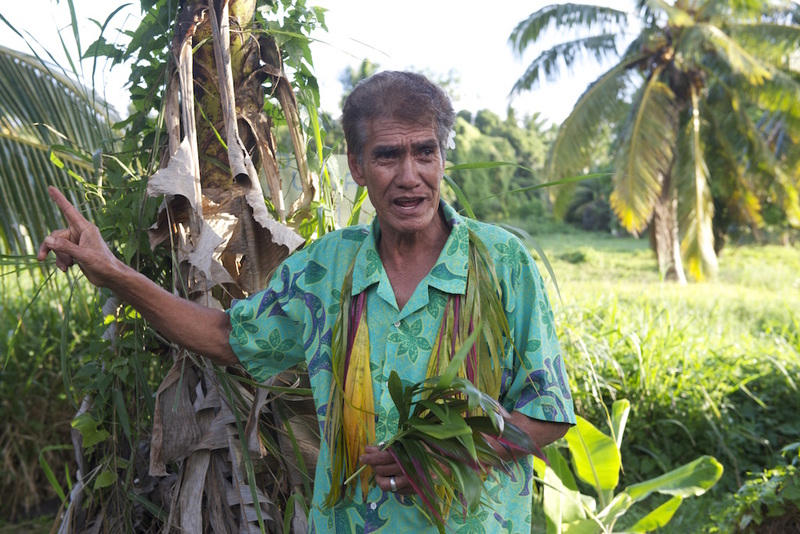 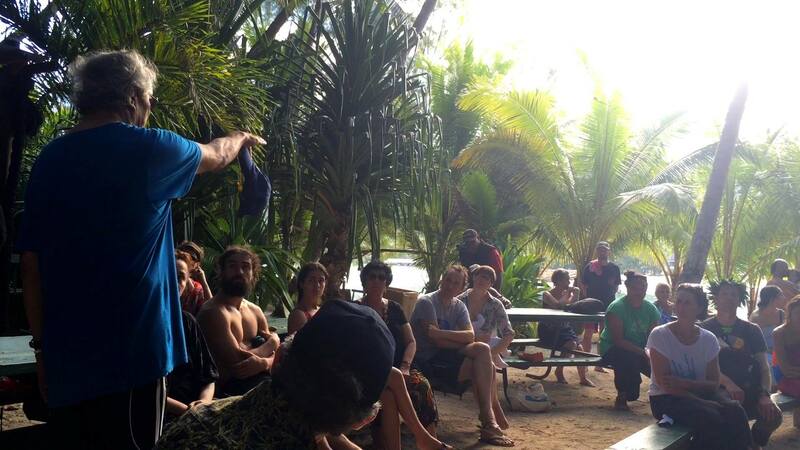 Local Time coordinated a visit to Puna o te Vai Marau at the base of Maungaroa in Rarotonga, springing from Local Time’s continuing enquiries into puna wai (traditional water sources) and the issues of sovereignty connected to them. 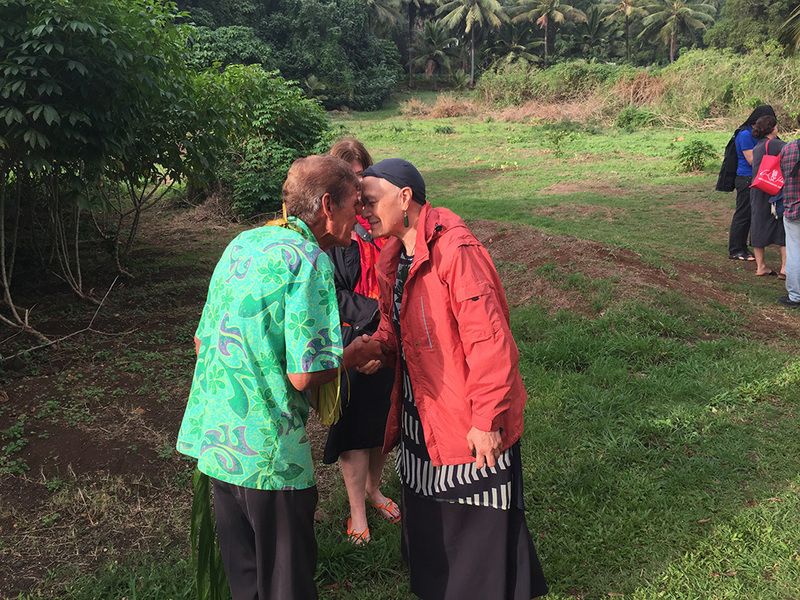 The visit, taking place in consultation with ta’unga Tangianau Tuaputa, proposed a conversation on knowledge, indigenous self-determination and intergenerational resource management rights. 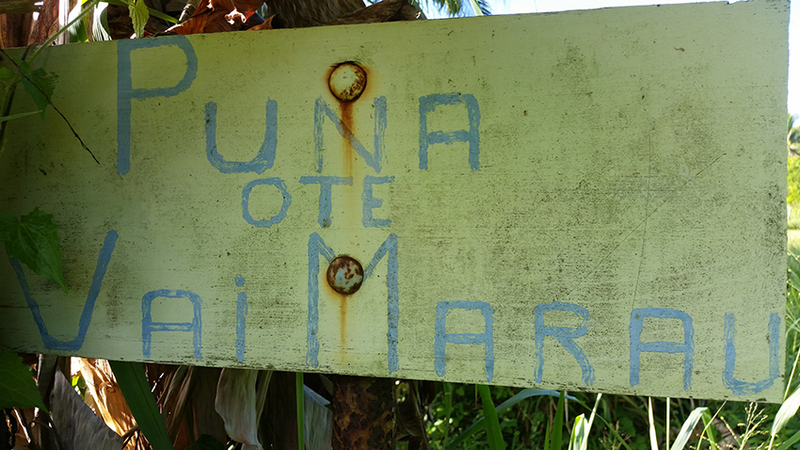 Papa Tuapata advised us that the signposted Puna Vai had actually been created by Europeans in the late 1800s, and formally invited us onto the marae (meeting place, though not with a building like most in Aotearoa) a short distance away where the original Puna Vai rests, to give us a brief history of the events that led to the settlement of the valley by Tinomana and his descendents. 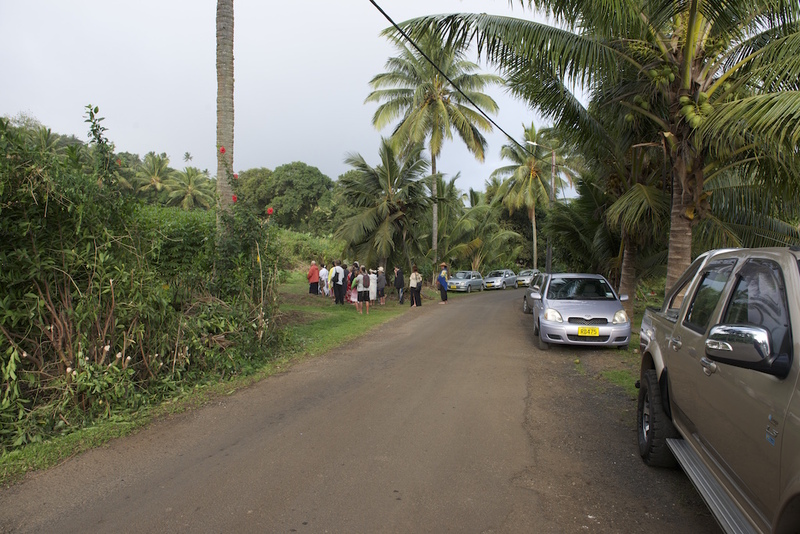 At this site ten years ago, large rocks were taken without consultation to Avarua for construction works.